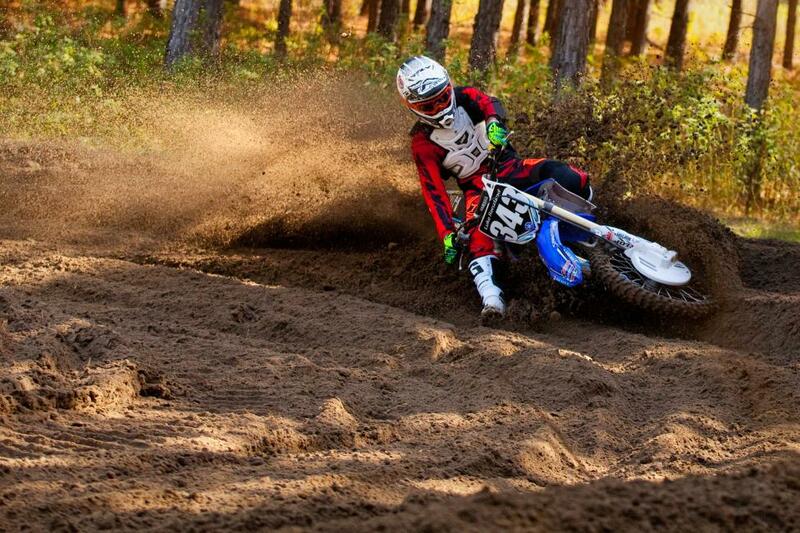 Check out RacerX magazine’s privateer profile with NJ Motocrosser Luke Renzland. Luke Renzland is part of a new breed of amateurs. Whether they train at a training facility such as MTF, Club MX, GPF, or one of the many others, or have a private facility, these riders begin training for supercross and a professional career at a young age. Renzland, who hails from New Jersey, moved to GPF at a young age so that he could ride in the winter. A few years later, he and his family moved to Florida and brought in Dream Traxx’s Jason Baker to build a beautiful facility. Now 19, Renzland, a multi-time champion at Loretta’s, will be moving on to supercross in a few months. We caught up with the recent graduate to talk about his pro debut, supercross, and what 2015 holds. Racer X: You made your pro debut earlier this month with CycleTrader.com/Rock River Yamaha and raced the final three nationals. Was it what you expected? Luke Renzland: My first three nationals were pretty much exactly what I expected. I knew all the guys were the best in the world for a reason. I knew what to expect, but at the same time, I was a little unfamiliar with some things—timed qualifying, etc. Coming into Unadilla I didn’t really put any big goals into play. I wanted to keep it low pressure and keep it fun and learn from that. By the end at Utah, I definitely had gotten more familiar with the schedule and everything. I also got more familiar with the pace of those guys. I’m excited and ready to train as hard as I can coming into supercross and make some improvements. All the guys I’ve spoken with coming into the pro ranks talk about keeping it low pressure. How difficult is that? You’re a competitor at heart, you want to win and do well. How hard is it to say, “I’m okay with a fifteenth”? In one way it’s tough. Coming out of amateurs and all three of us rookies were the guys to beat, and we were there for wins every single race, and then coming into Unadilla we didn’t really know where we were going to finish, and we were going to settle for whatever we could do. At the same time, it’s kind of easy to take the pressure off. I’m sure all three of us did the same thing: we just want to do the best we possibly could with the cards we were dealt. That’s what I did. I tried as hard as I could, and I wasn’t disappointed coming away with 18-15 in my first race. I knew I put everything into it. 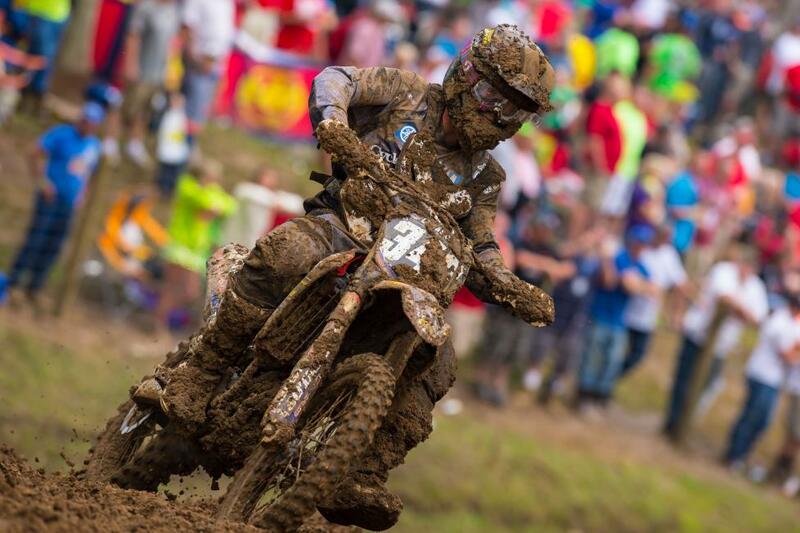 You were expected to turn pro last year after Loretta’s but decided to come back for one more year. 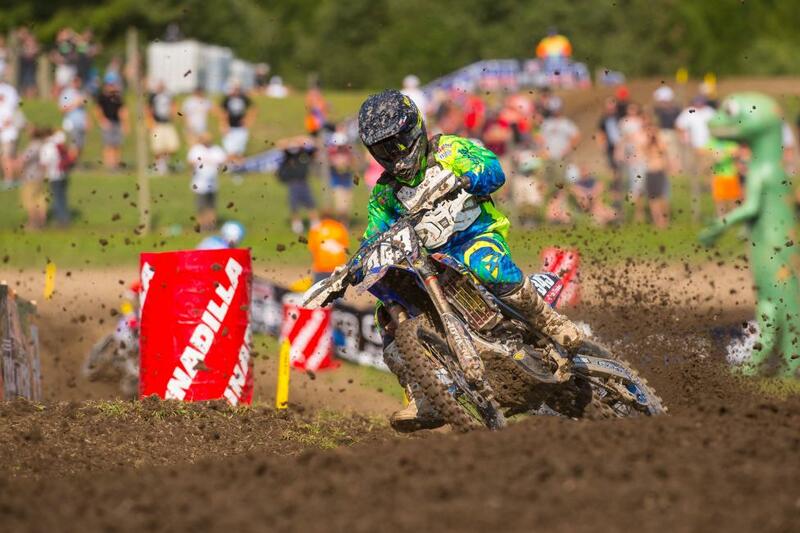 You defended your 450 A title this year at the Ranch and also inked a deal with CycleTrader.com/Rock River Yamaha. How did the deal come about, and do you feel it was the smart decision to return for another year? Last year after winning my title in 450 A at Loretta’s, me and my entire family were excited to race Unadilla, which is kind of a local pro race for me. I was super pumped on it, but at the last second, we decided to pull out to give myself another year to develop as a rider and mature, and to give it another year to see how things played out and if I could get a ride before turning pro. It’s a hard road once you turn pro as a privateer and open eyes on a professional level when you’re racing with mediocre equipment. That was the main reason we stayed back. We wanted to get a ride out of it and turn pro when we were fully ready. I’m definitely happy with my decision to stay back. I got six more amateur titles since Loretta’s last year. I was able to defend my title in 450 A down there this year, and based on my results down there is how I ended up sealing my deal with CycleTrader.com/Rock River Yamaha. I was super happy to represent their name at the last three nationals and get my feet wet for supercross. Talk about your experience at the professional level. What’s it like being in the truck, around teammates and mechanics and the like? It’s vastly different from hanging out with the family in the motorhome. The environment underneath the pro tent is definitely a lot different. I had four different teammates under the tent. You have the rider lounge in the semi where riders eat and hang out and get prepped for our motos. You have mechanics rushing throughout the semi between races—it’s pretty much aall-outut brawl for the mechanics to get everything they need. It’s a little hectic, but it’s nice to relax in the riders lounge and know you have a good team behind you getting things ready for the moto. You found yourself in a good situation with two veterans on the team in Ben LaMay and Alex Martin. How much were you able to lean on them? It was good to have those guys under the tent to be able to watch them and try and mimic what they do. We’re able to eat lunch and everything together during down time. Alex was kind of a role model for me at the races. He’s in the same class as me, so I was able to ask him about different lines on the track and what rhythm he prefers in a certain section, or whatever it may be. It’s nice to be able to lean on them and gain some knowledge. And your brother went to the team with you to be your mechanic, correct? He’s not my mechanic, but he’s my riding coach, so he walks the track with me to tell me lines and different things that other riders are doing that may be quicker. He goes with me just as a guy to look out for different things going on the track and give me the inside scoop before I go out there. I’m sure that has to provide a certain comfort level. How much did that help in your transition? Having him there with me helped me in the transition. We’ve been together my whole career, and he has pretty much been my backbone. He has been there with my training and riding and all my races throughout my amateur career. It really made it a more comfortable turn into the pros and a little more stress free. He made it feel more like my amateur program, although it’s a completely different deal. You are one of the last amateurs that qualified for supercross through Loretta’s. To an extent you’re a little blind for how to prepare for SX. What are you plans for preparing for the season? That was the main reason I wanted to go to the nationals. I wanted to get my feet wet and learn their pace in an environment I’m comfortable in before turning to supercross and having to go somewhere where I’m completely unfamiliar with the schedule and everything and the tracks they have. Now it’s time to go to work at my private supercross track, Dreamland. I have a lot of friends in Florida that either have tracks or are in contact with someone that does, so I’m sure I’ll be able to jump around to a couple different tracks. Speaking of your track, it’s a beautiful place. Vurb and some other sites have done some cool videos down there. How did it come about and whose brainchild is it? Man, it was really a dream come true to make everything come together and all the coverage it’s gotten me. It originally started in early 2012 when my parents purchased the property down there. It was really a dream location and layout. Right away we started brainstorming ideas on the track and everything, and my first thought was to call Jason Baker from Dream Traxx. He did a site visit and right away had ideas. They built it in the fall of 2012, and ever since it’s been a dream come true to go out every morning and walk down the hill and see the beautiful track that Jason built. It’s really a work of art. You’re part of a new generation that is starting training for supercross early. How much will that help you make the transition to next year? Before Dreamland I stayed down at GPF in Georgia. We moved there in 2008, and I was staying there every winter until we moved to Florida. They have a full-blown supercross track, and ever since I got off 85s I’ve been able to ride a supercross track every winter. Now, having my own track, I feel like I’m pretty comfortable on supercross tracks. I’ve haven’t done serious training on supercross, just play riding, but it’s helped me get more and more comfortable with the different riding style you need for supercross. The deal with Cycletrader.com/Rock River Yamaha was only for the last three nationals. Have you been in talks with them about next year? Right now I haven’t signed anything. I’m kind of waiting to see how things iron out. It’s still so early in the off-season that I don’t think everyone has their budget figured out yet. I’m not worried that I’m not signed right now. I’m going to get to work on supercross and see what offers come in later. Most amateurs are essentially riding and training year around now. But the jump to pros does require a different work ethic. Who’s helping you in the transition? My mechanic stays with me, and I have a trainer, Ross Muinzer, and my own bike coach, my brother Kody. I have a lot of people looking out for me on the new curve of bike training, maintenance, and riding techniques go. These guys are doing their research and looking for new ways. I really just have to listen to them and trust them. I know they’re looking out for my best interests. Thanks of the time, Luke. Anyone you want to thank? I’d love to thank the whole CycleTrader.com/Rock River Yamaha team. Their whole crew did a great job making me feel welcome and at home at the last three outdoors. I also want to thank my mom and dad, my brother/riding coach Kody, and my sister. My mechanic Jelly is killing it lately, and my trainer Ross Muinzer has been keeping me fit for these long pro motos. I also have to thanks Roost MX, Yamalube, DX1, GYTR, JGR MX Shop, FMF Racing, K&N Fitlers, Fly Racing, and WPS, Matrix Concetps, Arc Levers, Technical Touch USA and X-Trig, Bell Powersports, Vertex, The Factory Metal Works, Guts Racing, Dunlop, Renegade Fuels, EVS Sports, Dubya USA, Streamline Brakes, Hammerhead Designs, Pivot Works, Cycra, Hot Rods, CV4, Works Connection, Vortex, and ODI Grips.